Uses MAP-Plus 71066 or propane gas 13125 . Self-lighting piezo ignition. 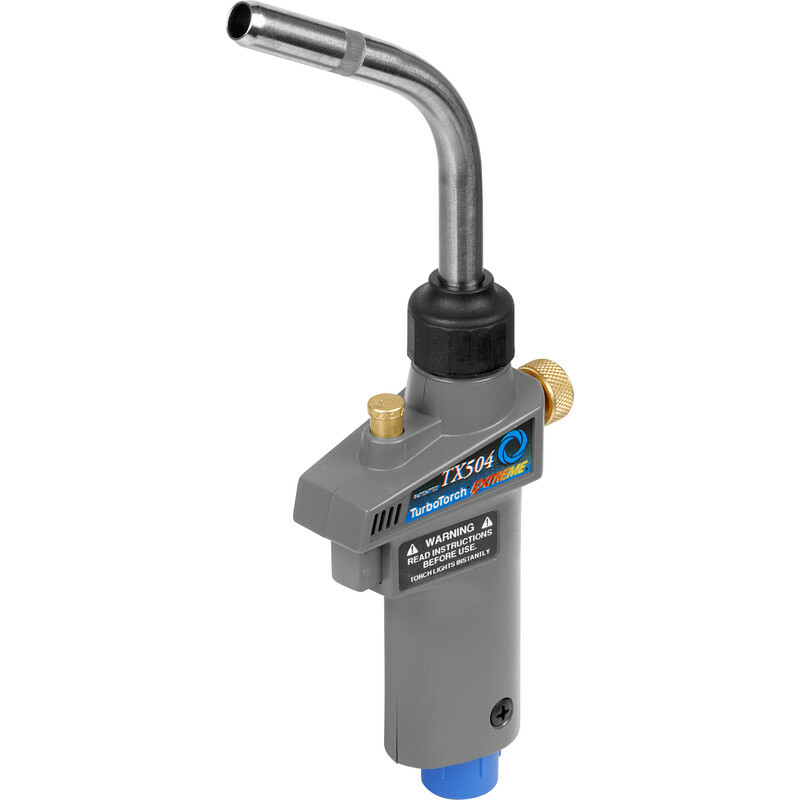 Adjustable high temperature turbo action high intensity flame control cuts brazing and soldering time by up to 25%. Tip swivels 360°. Stainless steel nozzle rotates 180°. Extreme Turbo Torch is rated 4.0 out of 5 by 4. Rated 1 out of 5 by Matt B from ABSOLUTLY USELESS I bought one of these online, arrived 2 days later and would not light so wasted my time driving to local store to swap it, tried this one outside in the car park and this one would not work either. Had to deal with a rude manager who coulnd't care less about this. Would not use again.